Here is a list of possible services resume writers and career coaches can offer their career services clients. We are working to update this list. Please leave a comment with your suggestions! Editor's Note: This an article I wrote many years ago on how a resume writing business can be an ideal business to operate to earn income in your "spare time." Where necessary, I've updated the information to meet 2013 standards. Resume writing is an ideal part-time (or "spare time") business. It's also one that can be operated from home. This combination of scheduling flexibility and low overhead can mean big spare time success. Resume writing is ideal for any economic climate. In a hot economy, prospective clients are seeking jobs that will sell their skills and experience and help them advance their careers. In a recession, job searchers need a quality resume that will give them a competitive edge in landing scarce jobs. Jobseekers search out resume writers to help them land their dream job. They may not have time to put together a resume themselves, or they may lack the writing skills necessary to accurately describe their current responsibilities and why they are qualified for a particular position. Others find it hard to "sell themselves" — describing their own skills and qualifications is hard for modest people. In addition, a resume writing business can be operated in your spare time — early mornings, daytimes, evenings, Saturdays, and Sundays. Jan Melnik, a Certified Professional Resume Writer and author of "How to Start a Home-Based Resume Service," started her resume career at home in her spare time. "I worked in a traditional office environment from 8 a.m. until 5:30 p.m.," she says. "I scheduled my own client appointments from 7:30 p.m. until 9 or 9:30 p.m."
Melnik also met with clients on Saturdays and Sundays, which made her services popular with clients who were unable to get away from work during the day to have their resumes written. My clients know that I am willing to work weekends," Campbell says. "It's a selling point for many who are currently employed and job searching on the side, but I never see clients without appointments. Never." Appointment-only scheduling allows the spare time resume writer to work precisely those days, and hours, desired. Business management skills are also essential for success. Services you can offer include anything from basic retypes of resumes already handwritten by clients to the complete development of a resume from scratch. Add-on services can include writing cover letters, developing materials for use during the interview process (including documentation of key accomplishments, salary history, and references), interview follow-up correspondence, and LinkedIn profile updates. Offering to write resumes for friends and family members for free or for a reduced price, if they will help your marketing efforts. When you finish with their resume, give them business cards and informational brochures to pass along to people they know. Practicing on friends will also help make you more comfortable with the interviewing and resume writing process. Taking out ads in local college newspapers and in weekly community newspapers. One ad a week in a large-circulation newspaper is sufficient and may be all you can afford. Sundays are usually your best bet. Posting fliers on student bulletin boards at university campuses or at local community sports (bulletin boards at laundromats, grocery stores, and libraries) to increase awareness of your services. Distributing brochures to local employment agencies, college counselors and mental health therapists who provide career counseling. Placing neon fliers advertising your services on the windshields of cars at shopping malls and office complexes to prompt telephone calls from prospects wanting to know more about your services or schedule an appointment. Writing and distributing news releases announcing the creation of your company to appropriate media. In 2013, market your services online using your website, blog, social media (Facebook, Twitter, LinkedIn), write articles, and using paid online advertising (Facebook ads, LinkedIn ads, AdWords, etc.). Your client base will also provide leads. Resume services have an excellent potential for repeat and referral business. The job search process truly never ends, and clients that start with a high dollar initial package ($100-$600) can be followed with annual updates at an hourly rate (bringing an additional $50-$200 in revenue per client per year). Referrals also help the spare-time resume writer develop a steady, profitable business. One resume client can lead to referrals of friends, family members, co-workers, roommates, and classmates. Setting a fee schedule is a critical component for success in your spare-time resume writing business. Fees generally vary by geographical regions (with higher fees charged on the East and West Coasts), and new resume writers generally charge less than experienced writers. According to the 2011 Resume Writers' Digest Annual Industry Survey, hourly rates charged for resume production range from $50 to $250. Calling your prospective competitors will also give you an idea of the range of fees charged in your area. But make sure you are comparing apples to apples — resume providers typically charge less for straightforward updates versus resume writing and editorial consultation. The rewards of establishing your own spare-time resume writing business — having clients come to you, pay you, to do what you enjoy, on your own terms — are apparent. What Will Happen To Your Resume Writing Business? Every year, I hear about resume writers who have gone out of business. Some of these are due to the owners changing careers and leaving the profession; sometimes the health of the resume writer is a factor, and many times, the owner decides to retire. Although there are four common ways to exit a resume writing business, in the vast majority of cases, one method is the most common: liquidation. And that's too bad … because, in my opinion, simply closing your doors is the WORST thing you can do with your resume writing business. Your business is an asset — and just like many other assets, it has value, even if you are finished with it. There are great ways to exit a business and there are poor ways. A great exit will leave you with the maximum cashout possible with minimal hassles. A poor exit will result in your "asset" (your business) not realizing the value possible, while causing you a lot of stress. 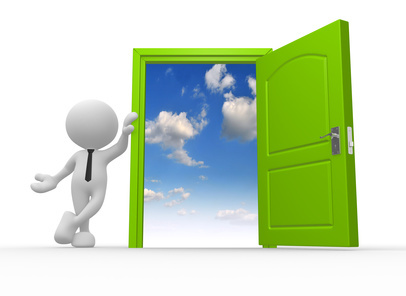 Here are four common ways to exit a business, along with a brief analysis of each method. This is the most common kind of exit, and it works very well. You value the company being purchased, then the seller makes the purchase with either cash, stock, bonds or a combination of the above. This kind of sale usually allows the owner to realize a lot of value. Unfortunately, a very small number of resume businesses are sold, because the resume writer does not realize the value of the customer list they've acquired, and because prospective buyers don't have access to a list of resume writers who are thinking about exiting the industry (and, consequently, can't make an offer to purchase the business assets). Mergers are when two companies combine their strengths for a better win-win scenario. For example, when Disney acquired Pixar, that was more of a merger than an acquisition. Steve Jobs immediately became the largest shareholder of Disney and Pixar continued to produce the most important films in Disney's array of films. Mergers work a lot like acquisitions and are also a great way to realize value. However, I can't think of any mergers within the careers industry, perhaps because mergers are much more common in large companies than small ones. Another way to cash out of a company is to take the company public. If you're large enough, that means using an IPO. If you're a small company but want to go public anyway, a common tactic is to use a reverse merger. It's a very expensive process. I don't know of anyone in the careers industry who has taken their resume writing business public. Instead of selling to an outside party, with a management buyout the company is sold to the managers and employees instead. It can be sold for cash, or there can be some sort of owner financing involved. Because most resume writing businesses are sole proprietorships (single owner businesses), there often aren't managers or employees to sell the business to. However, I have heard of a couple of resume writing businesses where an employee buys the business. (The most high profile one is probably Susan Ireland, who took over Yana Parker's "Damn Good" business, which is now run by Beth Brown.) This is often an emotional decision rather than a financial one (and the selling resume writer often provides financing to the buyer). This is the worst option of all — and, unfortunately, the most common in the resume writing industry. This is when you simply throw out any value the business has as an operation and liquidate the business for just its asset values. The assets are often computer equipment (which is converted to personal use, usually), business and career books and materials, and a customer list and files. The business and careers books have value — although, often they are discarded (if they are more than a few years old, they can contain out-of-date information) or donated. Newer books can — and should — be sold to recoup some of the value. But the biggest asset of the business is often the most undervalued — customer files and the customer list. These are individuals who have purchased a professionally written resume. There is value in that list of buyers. If you have significant traffic to your website or blog (you can check your PageRank – a measure of the importance of your website), selling your website also has value. A domain name may also have value — resume.com, for example, is an obvious one, but your domain may also appeal to a specific buyer. So if you are thinking about closing your business, don't just liquidate. Put out the word that you're looking for a buyer. Or approach another resume writer who works with a similar clientele. Or contact me, and I'll try and help you find an alternative to simply shutting your doors. You may have heard of crowdfunding because of campaigns on Kickstarter for things like the Pebble wristwatch. I participated in a crowdfunding campaign for my nephew's school film project (which reminds me — I still haven't received the DVD I should have received for my pledge), and a friend's desire to bring encouragement to those diagnosed with cancer raised $35,000 just as her mom died from lung cancer. 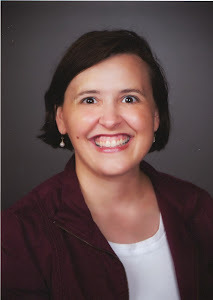 But I came across a first in the resume writing industry yesterday…a resume writer who is using crowdfunding to raise money for certification as an Academy Certified Resume Writer (ACRW) through the Resume Writing Academy. Crowdfunding is defined as an effort that pools money from individuals — usually via the Internet — to support the effort of an individual, organization, or business. Through small contributions from many people and organizations, a larger goal can be accomplished. 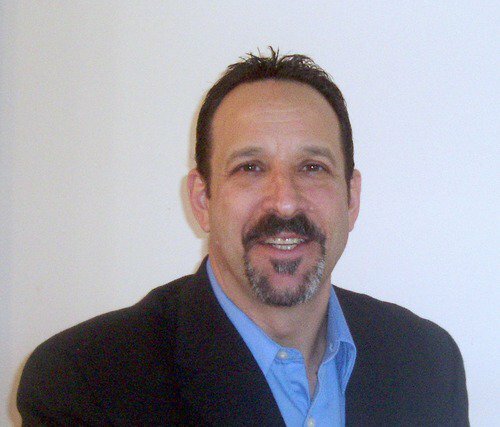 Jeffrey Metzger, of YourResumeConsultant.com, has launched a crowdfunding campaign to raise money for him to pursue ACRW certification. You can find his crowdfunding campaign here. I reached out to Jeffrey to learn more about his initiative. Bridget: How did you get the idea to do a crowdfunding campaign to raise money for your certification? Is there a crowdfunding campaign that inspired you? Jeffrey: As with many new writers [Editor's note: Jeffrey notes that Feb. 11 is the one-year anniversary of him operating his business full-time], cash flow is one of my biggest challenges. I've made some excellent progress in building my business, but I can never seem to get far enough ahead to make meaningful investments in myself. Becoming certified continues to be at the top of my wish list and I feel that the ACRW will give me the right combination of training and, ultimately, certification, that will be a huge boost to my business and personal potential. Crowdfunding is very visible, and I kept coming back to it as an option. I found Indiegogo to be the right fit for what I'm trying to accomplish. In researching the concept, I found many small businesses looking for funding to buy equipment and inventory, but very few (if any), service companies looking for funding. I'm sure it's being done, but maybe I'm blazing a bit of a trail. Bridget: How are you planning on promoting the campaign? Jeffrey: Currently, I'm only promoting the campaign (with poor results) via social media. I need to personally get past the idea that I'm looking for a handout, and believe in myself and this traditionally unconventional method of raising money. I know I need to do a much better job in this area. Bridget: Have you received any feedback from anyone about your campaign? Jeffrey: I've received a few "atta boys" from friends and family, but nothing more than that. Bridget: Did you consider any other "creative" ways to come up with the money for certification? Bridget: Do Wendy and Louise (from the Resume Writing Academy) know you're doing this? Jeffrey: I did have the pleasure of meeting Louise briefly at the NRWA conference in Maine a couple of years ago (2011), but have not been in touch with either (of them) since I kicked off this endeavor. What do you think, resume writers? Would you be interested in supporting Jeffrey's goal of certification? I will "match" any donations made by resume writers in the next 7 days (until Feb. 18, 2013) with products from Resume Writers' Digest. 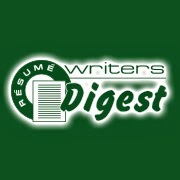 That is, if you donate $25 to Jeffrey, I will give you $25 in free Resume Writers' Digest products. Forward your receipt to me at editor (at) rwdigest (dot-com) and I will contact you to arrange your free products! My lovely colleague Sharon Williams of JobRockIt put out a late night request on Facebook last night for a client who needed information about reference letter formats. Although “letters of reference” have fallen out of favor in recent years, there is something to be said for our clients getting a reference letter from your manager or supervisor when they leave a company (especially if they leave on good terms). Having the reference letter provides the jobseeker with something to use in the event they're not able to find their former manager in the future. It can also help the manager refresh his or her memory if the client asks them to provide a phone reference in the future. And, as a resume writer, you can take excerpts of that reference letter and incorporate them into the resume and cover letter (this was the "original" use of the term "Endorsements" before LinkedIn co-opted it!). If the client's supervisor isn't on LinkedIn, the jobseeker can also excerpt or reprint the reference letter in his or her Summary, providing a powerful testimonial when a formal LinkedIn Recommendation isn't possible. What are some elements of a great reference letter? Reference letters should be professional in tone and format. Effective letters of recommendation verify experience, confirm competence, and build credibility. The letters can be written by former employers, supervisors, and managers with first-hand knowledge of the employee’s work. Remember, with Pass-Along Materials, you can put your own contact information on these materials and provide them to clients as a bonus or you can sell them. So when I see an article posted about LinkedIn, I tend to read it! This was the case with an article posted a few weeks ago on Career Rocketeer, called "7 LinkedIn Tools Job Seekers Should Be Using." I was prompted to write this blog post because I saw a well-meaning fellow resume writer share the original article this morning, without sharing any commentary or personal insight. Many times, however, you'll come across an article and agree with most of it, but as resume writers, it's also our duty to point out when advice in an article contradicts advice we'd personally give clients. Otherwise, it looks like we're endorsing the information (not simply sharing it). The article in question is a simple "roundup" format — it lists seven LinkedIn-offered or related apps, and provides a quick snippet of their functionality as it relates to jobseekers. The author, however, does not appear to be a career services professional. ("Rob Hilborn is from www.broadbandgenie.co.uk, the consumer advice website for UK-based broadband Internet providers.") A quick Google and Twitter search reveals this appears to be the only job search-related article Mr. Hilborn has written. Now to the central point of my blog post: "Don't use a spork when you really need a spoon." 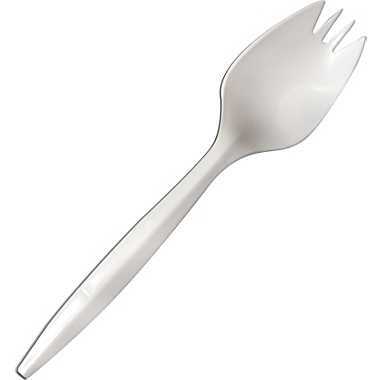 You know what a "spork" is, don't you? It's that unwieldy combination of spoon-and-fork — not quite one, not quite the other. Because the author's background is in marketing for a technology firm, it's not surprising that his focus for using LinkedIn is on the tools, not on the functionality of the tools. In the article, he recommends jobseekers use LinkedIn's Resume Builder App to turn their LinkedIn profile into a PDF or a Word document. That's a terrible idea! The Resume Builder App is an awful substitute for a resume. As resume writers, we counsel jobseekers all the time not to simply copy-and-paste their resume into LinkedIn. I would never suggest a client use the Resume Builder app. It's like someone asking you for a spoon and you handing them a spork. Yes, it may work ... but when you need a spoon, use a spoon!! The point of this post isn't to debate the merits of the 7 tools Mr. Hilborn recommends for jobseekers (I would also never recommend the "Apply with LinkedIn" function or the LinkedIn hResume Wordpress plugin — wow, that's 3 of the 7 tools I can't support him recommending to jobseekers), but to remind the readers of this blog — career services professionals — of the need to vet and "qualify" the resources that we recommend. If 90% of an article or blog post is great advice — fabulous, but make sure you point out that 10% you don't recommend. There is so much career-related advice out there ... if we share it without examining it, we're contributing to the clutter, not improving the quality of the content and elevating it to a dialogue. And, above all, work to identify the "spoons" and "forks" that will be truly useful utensils to our jobseeking clients, not one-size-fits-all "sporks" that may work, but really get the job done. Ahh... to get certified or not, that is the question! Today, I responded to a LinkedIn Group question from Jessica Smith of Resume Butterfly, who was wondering if she should pursue certification. A quick check of my blog posts revealed I haven't addressed this specific issues on here (although I've tackled the question of fake certifications and which organizations offer certifications). And I've certainly answered this question many times in direct emails. But it's time to write about resume writing certifications on here. I have known great writers who are not certified, but I've also known SOME certified writers who aren't great writers. I don't know anyone who hasn't earned one of the mid-level or higher certifications (NCRW, ACRW, MRW), that ISN'T a great writer. Some certifications are relatively "easy" to obtain (the CPRW, for example, isn't tremendously rigorous), and competency certainly doesn't mean "mastery. Certification by itself is a minimum benchmark, but more importantly, it's a confidence builder and marketing tool. It also can help you land certain kinds of projects — for example, some contracting firms only work with certified writers (and some specify the type of certification required — for example, NCRW or ACRW). And some book authors require certification for submitting samples to include in their compiled works. Entry-level certifications (CPRW and CARW) are the easiest and least expensive to obtain. They require self-study, preparation by reviewing the specific requirements (certification resumes aren't necessarily the way you'd write an actual client resume, but you must meed the certification standards in order to pass), and a writing project, which is reviewed by peer graders. Advanced certifications require that, and much more -- often a portfolio (multiple documents meeting certification standards), and often more preparation (an initial grammar test or other assessment). They are also more expensive, harder to obtain, and require recertification. I received my CPRW more than 10 years ago, and the only requirement from PARW is to keep your membership current. (I dispute whether my CPRW requires this, however, because that requirement wasn't in effect when I earned the credential.) However, many of the other certifications do require continuing education and recertification (portfolio submission, for example). Honestly, I hear some of the same comments about joining professional associations. In many cases, the value is in the eye of the beholder (the resume writer), NOT necessarily the client. If you asked clients, most of them have no idea that certification is available for resume writers, and they certainly couldn't tell you the difference between a CPRW and an ACRW (although there is a huge difference!). But I have successfully used certification as a way to win clients, and sometimes that can be what makes it worthwhile for you to pursue it. Listing that you're a certified resume writer can help sway a prospective client who is considering several resume writers (if all else appears equal — which we obviously know it's not, but ... — they will focus on the one thing that is different). And, as I mentioned, it can also be a confidence booster, especially for new writers. Entry-level certifications are NOT really a training tool, but they do provide guidance on certain standards and expectations. Advanced credentials (NCRW, ACRW in particular), do have more of a "training" component, and that can boost your confidence and your writing skills. With the NCRW, for example, the first-time pass rate is abysmal. But practice makes perfect! And the confidence you get by earning one of the more difficult-to-earn credentials is priceless. Leave me a comment below: What are YOUR thoughts about certification? Which certification(s) do you have? Which do you find to be most valuable? How has being certified helped you? If you're not certified, why not?